Manoeuvring caravans into and out of parking spaces, down driveways and onto pitches is surely the bane of caravanners lives. Front push-towbars are ideal for or manoeuvring caravans into any space, as everything you need to see is directly in front of you. 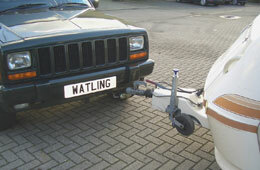 The caravan and trailer industry has for decades known of the benefits a front towbar can bring. 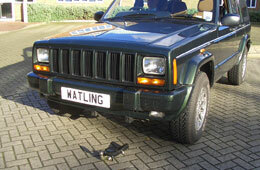 You may have seen old Land Rovers or other vehicles moving caravans and trailers around sites or in dealers yards. Now here at Watling Engineers we are opening up this trade secret to the general public. We have designed an ever increasing range of front mounted towbars for commonly available 4x4s, saloon and commercial vehicles. Reversing is a pain in the neck!! Reversing is a pain in the neck, literally, and if you happen to be reversing a trailer or caravan at the time, it is even worse. It doesn’t seem to matter which way you turn the wheel, the damn thing just wont go where you want it to. Now this is fine if you have an open field and plenty of time, but if you are trying to get your caravan down a tight driveway, or on to a pitch it can be more than a little frustrating. 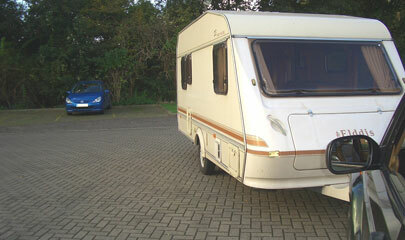 Our front pushbars eliminate the need to reverse a caravan . Like a towbar, the pushbars consist of a steel frame, which is bolted onto the front chassis of the vehicle, with a detachable section onto which a towball is bolted. 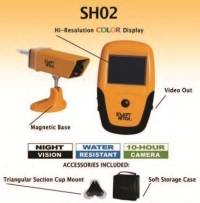 The whole item is very discrete and can barely be noticed when not in use. Now for the science bit. Because the turning wheels are that much closer to the pivot point (towball) you have much more control over the direction of the trailer you are pushing. Smaller steering movements result in quicker direction changes. When using a front towbar, everything you need to see is directly in front of you resulting in no confusion between left and right! There are no headrests to peer around, and you don't have to rely on the limited scope of your rear view mirrors. There are plenty of other caravan movers on the market that claim to have a lot of power but can any of them really compete with a 2.5L turbo diesel engine? Or any other combustion engine for that matter? 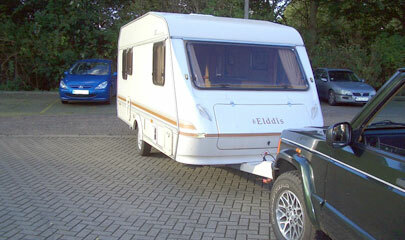 Double axle caravans can be positioned with ease over any terrain your vehicle can cope with. Grass, gravel, slopes or kerbs will no longer present problems. 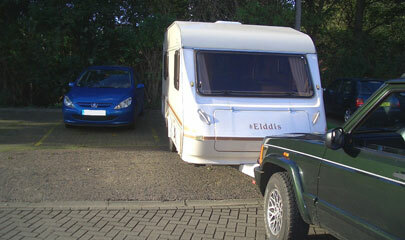 1 - Reversing a caravan into a small space is a common procedure for most caravanners. 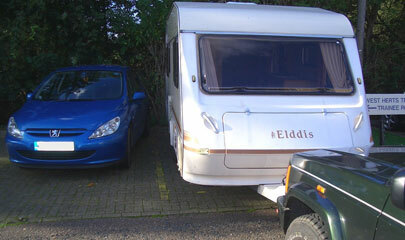 3 - Reversing your caravan becomes a pleasure and not a chore. 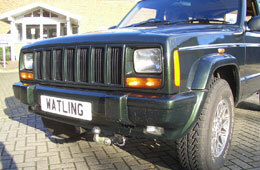 ALL OUR FRONT TOWBARS ARE AVAILABLE WITH INSTRUCTIONS FOR SELF-FITTING. PLEASE CONTACT US FOR A MAIL ORDER QUOTE.